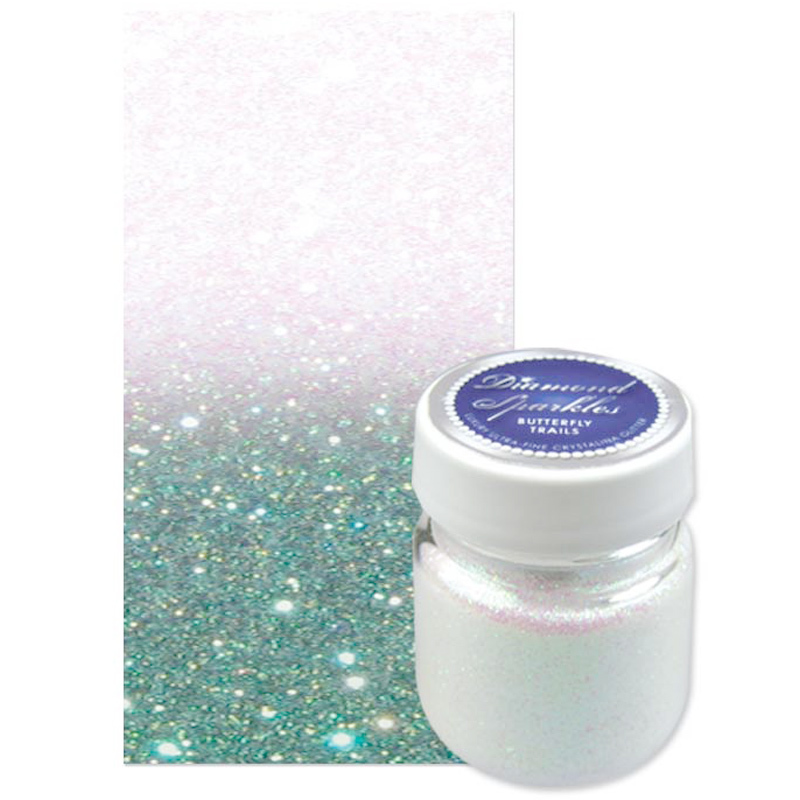 This ever-expanding range of ultra-fine glitter is one of our most popular products and with just one glance you will know why! 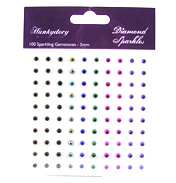 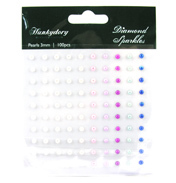 Diamond Sparkles are available in a wide selection of colours and are perfect for adding a dash of sparkle to your projects. 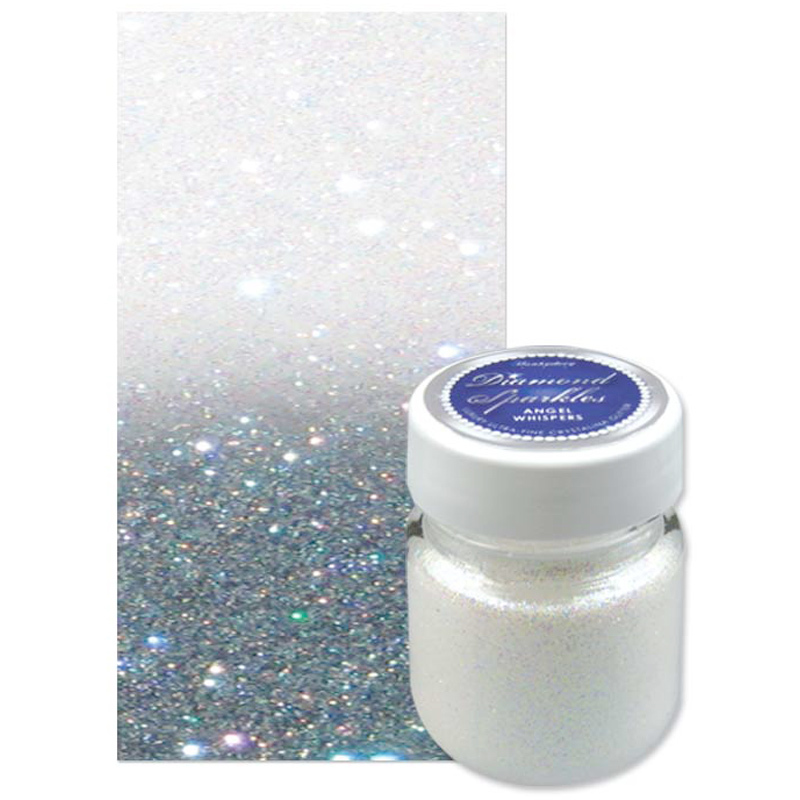 Whether you use it with a glue pen for small areas, as lines on double-sided tape or to cover a large area with spray adhesive, Diamond Sparkles will always give a luxurious and professional finish. 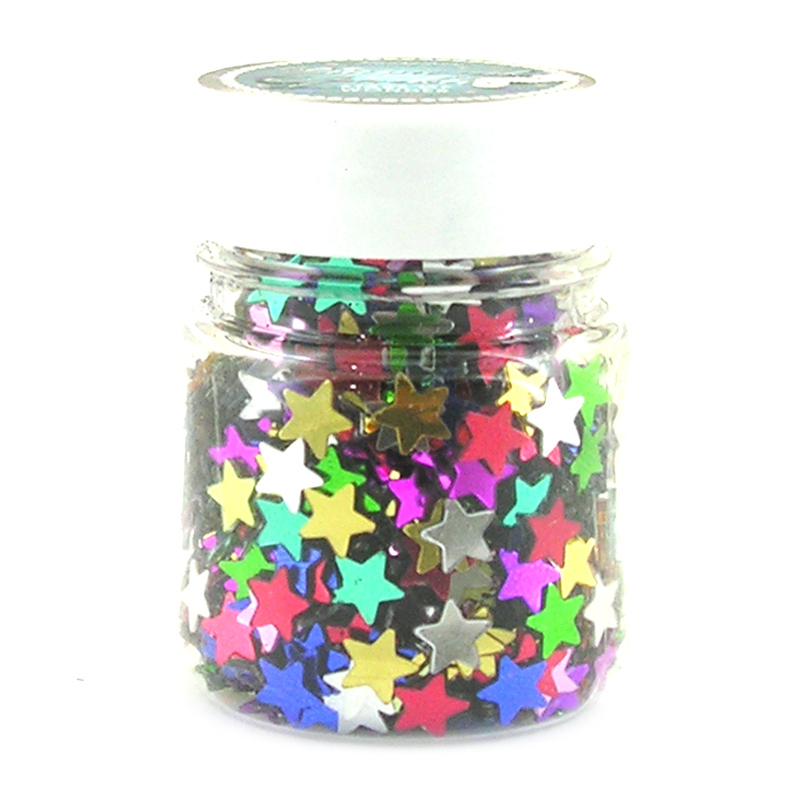 Fairie Kisses has wonderful purple and yellow tones. 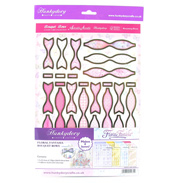 Butterfly Trails has a pretty pink and emerald hue - how lovely! 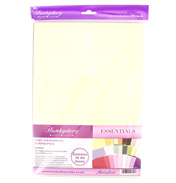 Our original and all-time favourite! 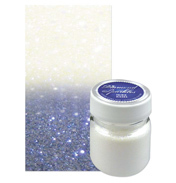 Angel Whispers adds phenomenal shimmer to your projects.